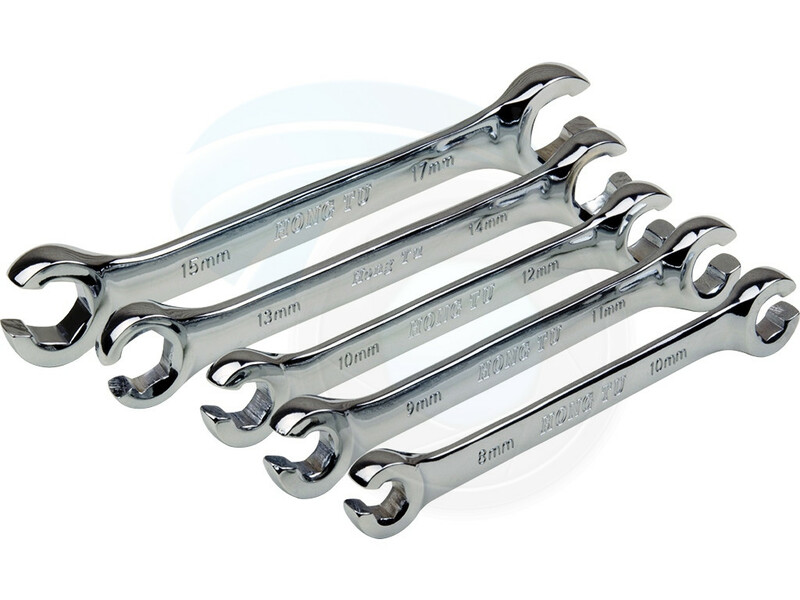 This set of flare wrenches can be used with metric type flare fittings. Flare fittings are used in plumbing, heating, automotive and hydraulic systems. 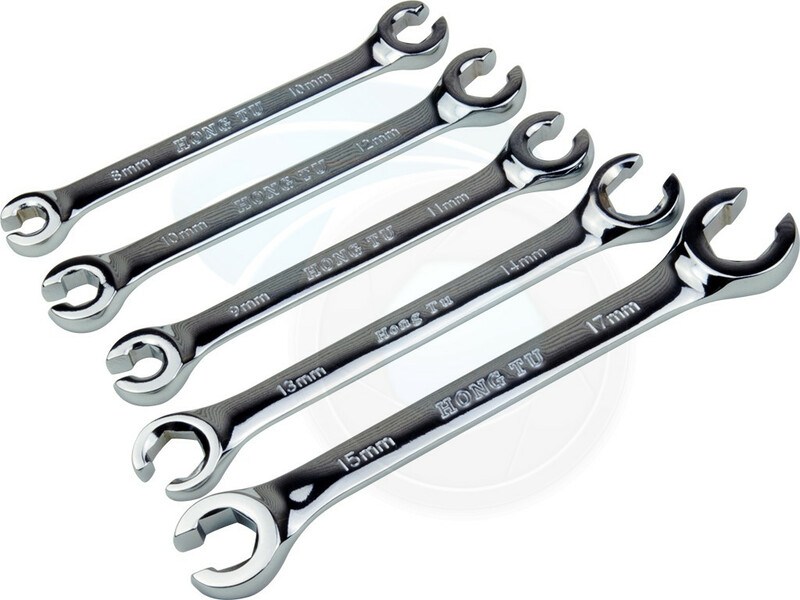 Flare wrenches provide better grip around the fitting and prevent from damaging the external housing of the flare nut fitting. 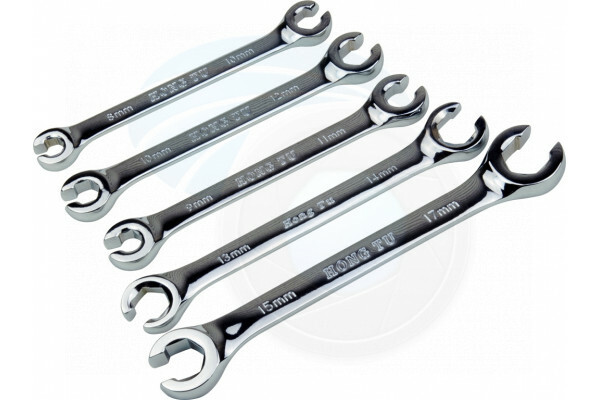 The wrenches are forged of highest quality Chrome Vanadium steel, hardened and tempered for long life and durability. 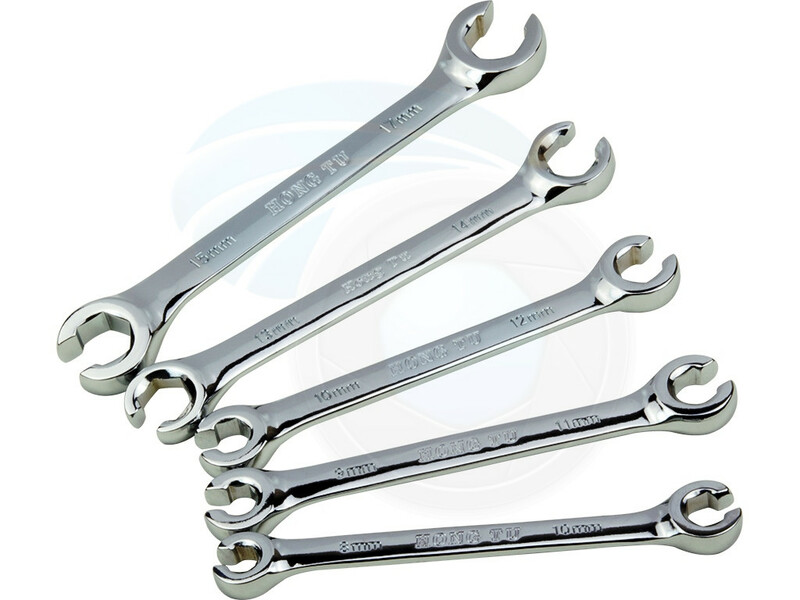 The wrenches are covered with chrome plated protection against corrosion. 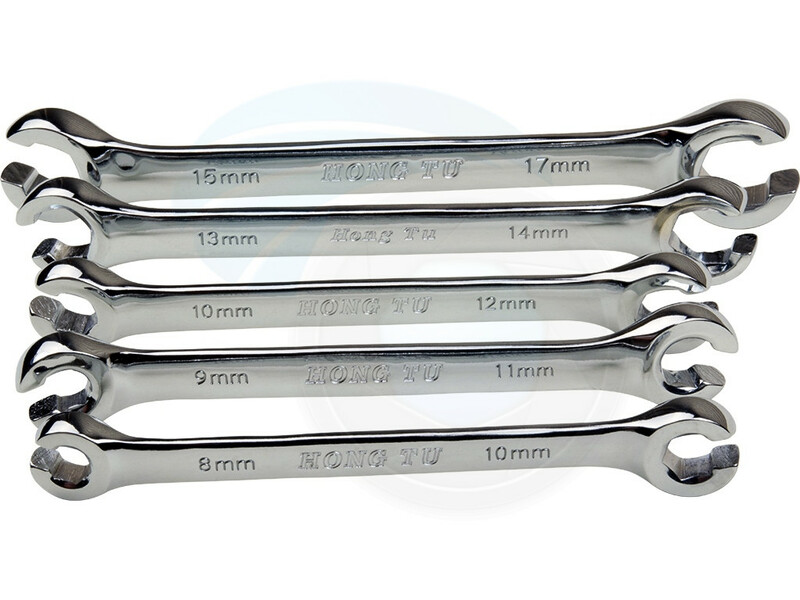 Both sides of each wrench are laser engraved with metric size of the wrench opening. Open end extra thick design provides strong torque and durability.